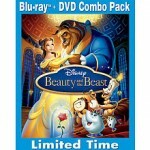 You are here: Home / Uncategorized / The best deals on Beauty and the Beast! In my opinion, Toys ‘R Us has the best deal. The Blu Ray/DVD combo pack is priced at $22.99, so it will be $12.99 after coupon. **If you have no pre-ordered from Toys ‘R Us before, all you have to do is tell them that you want to pre-order Toy Story 3. They have a card that they will scan and you will pay a $5 deposit (included in the scenario above). They will staple your receipt to the card and you need to keep that until you are ready to pick up Toy Story 3. The $10 instant discount is not advertised, but it does work. 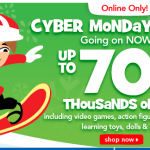 There are more deals and scenarios for Toys ‘R Us in this post here. Best Buy ~ The movie is priced at $24.99. You will pay $14.99 after coupon. Target ~ The movie is priced at $24.99 and includes a bonus princess CD. You will pay $14.99 after coupon. If Toys ‘R Us is a competitor in your area, you can also price match and you should pay $12.99. 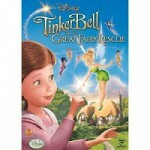 Walmart ~ The movie is priced at $24.99 online. You will pay $14.99 after coupon. If Toys ‘R Us is a competitor in your area, you can also price match and you should pay $12.99. Then do you pay the actual movie price for toy story when it comes in? Is the 5.00 just for a pre-order? Not towards the movie? 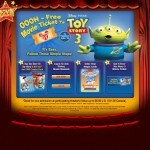 The $5 pre-order goes toward the purchase price of Toy Story 3. There should also be a $10 coupon.